Are you making progress and thriving in your job? Or are you just getting by? The wise “Fab Four” once said to get by with a little help from your friends. As with anything new and uncertain, one should pursue innovating in the workplace with the support of those around you, getting their perspective and help. The leadership team at the Family Crisis Center (FCC) recently did just that. In 2014 and 2015, the Lean Team at Denver Human Services (DHS) began teaching and supporting leaders at all levels to implement a set of tools and behaviors called Leader Standard Work (LSW). While front line employees do Operational Standard Work (OSW), supervisors and managers have a different role. No less important, leaders put structures in place so their staff can identify opportunities for improvement. 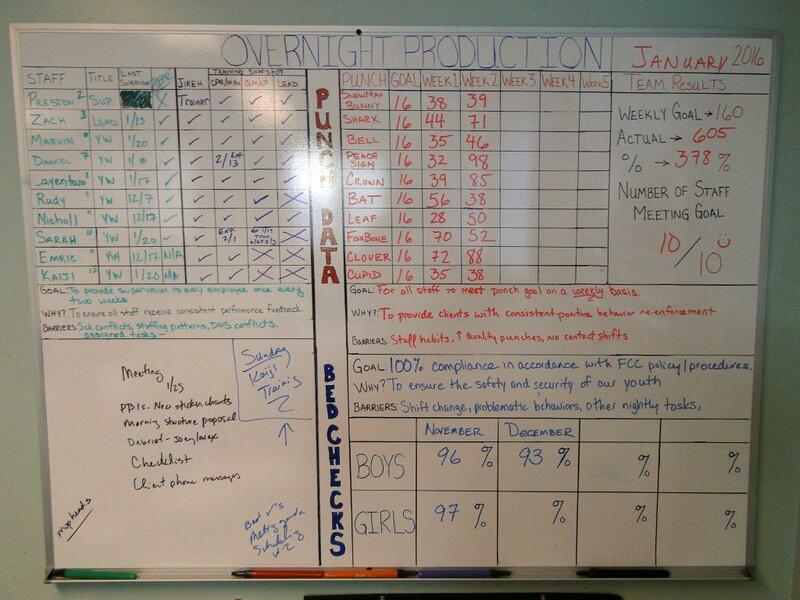 One of the tools that helps this along is called a “production board” (a tool that helps show a team’s progress in real time). Each leader uses their own production board as a transparent communication platform for the whole team to discuss the most important issues. Over the last two years, leaders at the FCC have worked to implement and refine their practice of LSW, especially their use of production boards. The leadership team met early in 2016 to review all of the production boards being used in the facility. Pictures were taken of each board in advance of the meeting to facilitate discussion. Each supervisor presented their board and talked about the goals and outcomes they are tracking. The group then asked questions and provided feedback to each leader. Overall, the staff felt it was a positive experience and especially helpful to see the variety of ways the boards are being used throughout the program. The exercise took about two hours, and eleven production boards were reviewed. The feedback from those who participated was very positive and plans were made to do a similar “production board check-in” exercise a few times per year going forward. This experience was a kind of internal benchmarking, of seeing where you are and how you can improve. Overnight Supervisor Preston Wilhite has hope that his team “may become more efficient in improving our process improvement processes.” The DHS Lean Team thanks the FCC Leadership Team for their commitment to improvement, and their willingness to try something new … with a little help from their friends. My experience with the production board presentation and sharing was productive. I feel that it was a great way to share information across program areas and to see how other supervisors are utilizing the boards, especially since we do not always have the opportunity to take the time to do so. We were able to find ways to connect to one another and ways to support each other in obtaining information/data to use with our ongoing projects and goals. We were also able to get some group feedback to support each other in improving the production board tool in the Leader Standard Work process and get reminders of how to improve the utilization of the boards individually. My perspective of the experience was a positive one. 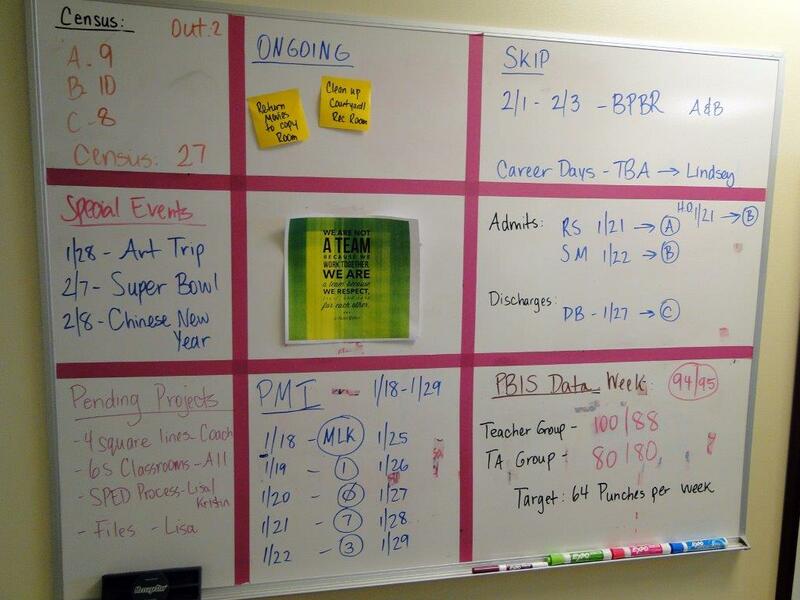 First, it was interesting to see the many different creative methods my peers used to organize and track the many different duties/tasks and employee performances we are all responsible for via their production board. 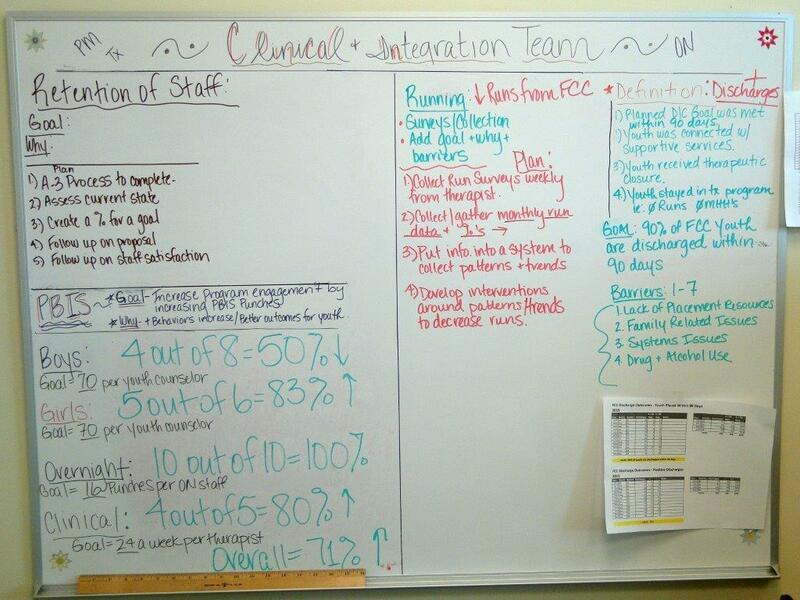 Each area Supervisor emphasized their value into the facility’s PBIS intervention program by exploring and tracking their teams punch data, yet no two methods were exactly the same. As each supervisor provided insight into the how’s and why’s of their production boards, I was able to gain confidence in my own board knowing that others were pursuing similar avenues and put the same amount of emphasis on PBIS data and employee training as I did. 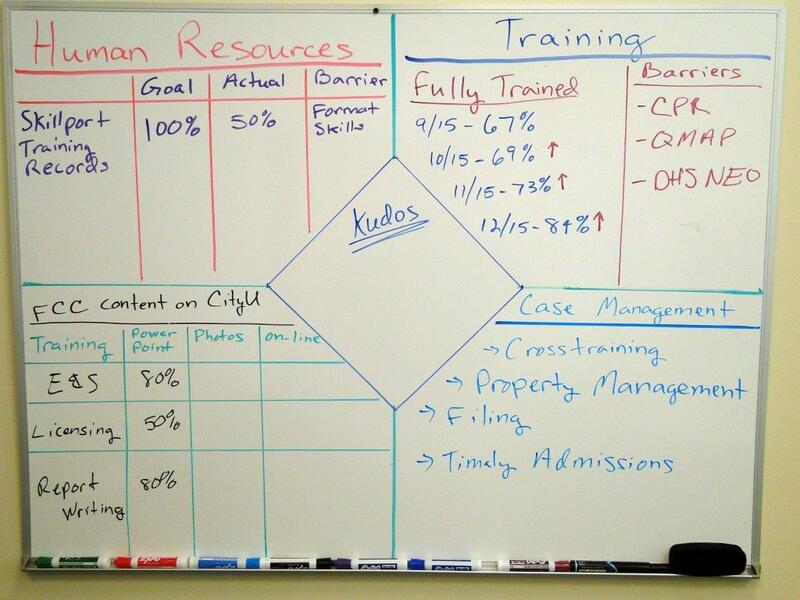 Lastly, I was able to gain insight into ways I can make future improvements to my own board so that my team may become more efficient in improving our process improvement processes. I think it was a helpful exercise. Receiving different perspectives can be helpful. It was also interesting to see the multiple layers of responsibilities that people were managing as well. I believe this was a good exercise. I learned a lot about what coworkers were measuring and tracking. My participation energized me to take another look at my work with a new perspective. It was extremely helpful for me to see the other production boards in the building, in order to know what type of data is being collected by my peers. Marcus was helpful in pointing out projects that I was working on in my area- as he pointed out other projects and data around the building that can assist me in what I am working on.